Arabic is 5th common language in world. Classical Arabic is the language of Quran and also it is official language. Classical Arabic is the only way to learn Arabic language in academic way and it does not change. When you start learning to write in any language the Alphabets form a skeleton of any language. Let's talk About Arabic Language, where you will learn the number of letter in Arabic Alphabets. Every language has its own set of alphabets or characters so it is necessary to know alphabets in Arabic. Arabic phonology gives Arabic vowels and Arabic consonants. There are 8 vowels and 28 consonants in Arabic language. Based upon the number of alphabet, vowels and consonants in the language we can check if Arabic is one of the Most Difficult Languages. All about Arabic language is given in detail in this section. Want to explore all Arabic countries? 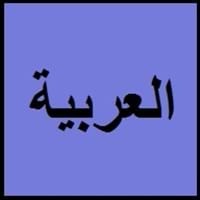 About Arabic language serves you with all Arabic Speaking Countries. Countries that use Arabic as official language are called as Arabic countries. 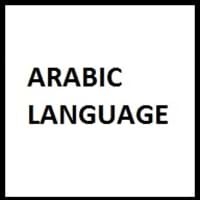 Countries that use Arabic as their National Language are: Algeria, Bahrain, Comoros, Djibouti, Egypt, Jordan, Kuwait, Lebanon, Libya, Mauritania, Morocco, Oman, Palestine, Qatar, Saudi Arabia, Somalia, Sudan, Syria, United Arab Emirates, Yemen. Second language indicates to any language which the person learns in addition to first or native language. Countries that use Arabic as second language are: Arabic is not spoken as second language in any of the countries. You can also go through all European Languages and explore more about their speaking population, alphabets, greetings, dialects and many more. Get to know all Arabic language codes here. There are several languages spoken all over the world where in most of the languages have alternate names which come from diverse sources. All Arabic Language Codes are assigned with unique code. There is usually two or three letters code for each language. In most of the applications, these language codes are used where it is tedious to use language names.